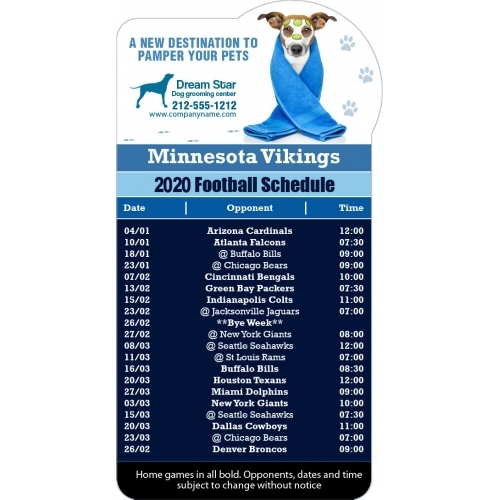 A custom 3.875 x 7.25 inch one team Minnesota Vikings football schedule bar bump shape magnets are traffic stoppers in house, office, school or wherever you stick them. 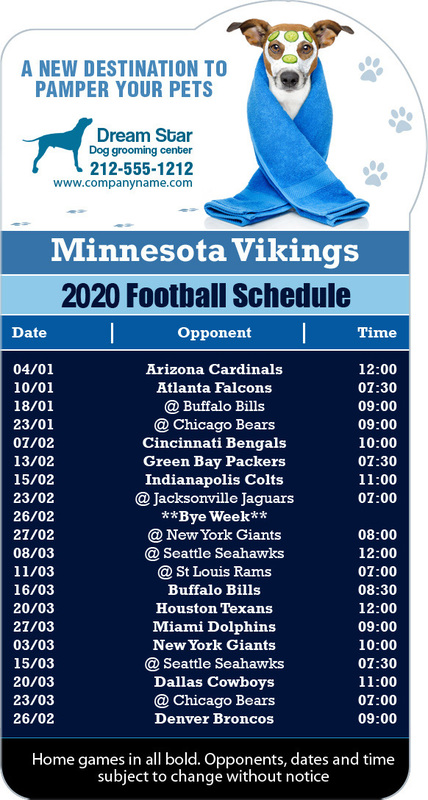 A promotional 3.875 x 7.25 inch one team Minnesota Vikings football schedule bar bump shape magnet can be preferred for brand building by advertisers who wish to seek easy acceptance from all corners. A personalized 3.875 x 7.25 in one team Minnesota Vikings football schedule bar bump shape magnet stands high chances of retention as a memorabilia even after the season rolls out. Also, it makes a good choice for seeking easy attention amongst the crowd.